Click Here to donate automatically each Month! Click Here to Contribute automatically! ET partners with online giving charity processors so that YOU can easily manage your online automatic giving account and change it whenever you want. No need to reach us – you just go on line and easily change it. Give every month – or at an interval of your choice! Donate now in any amount! 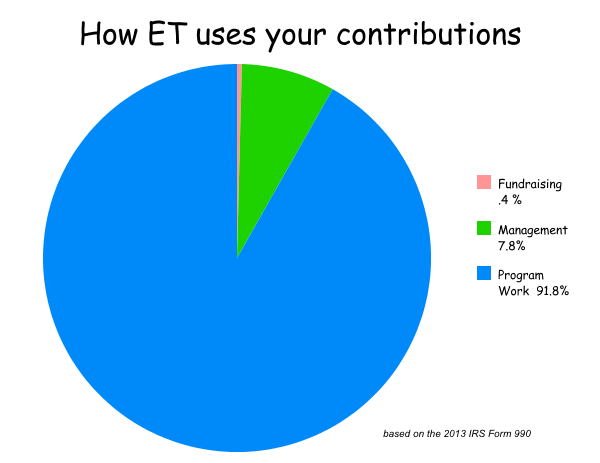 Your tax-deductible support makes ET programs possible. Click here to make a one-time donation to ET, using your charge card, paypal account, or check. 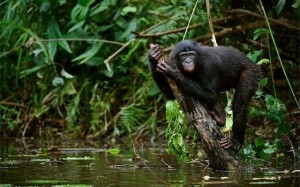 Some of the world’s most successful wildlife-savers have been ET contributors. Join them! Click Here to Donate Stock! Make a contribution of Appreciated Stock! If you’re like many folks, you hold some appreciated stocks, and we’d appreciate it if you think about this smart way to give. It’s as simple as a stock transfer to the ET brokerage account, and you get an immediate current-year deductible donation on the full appreciated value. You don’t need to pay tax on the appreciation and neither do we. Such a deal. Tell Me About Planned Giving and Bequests! Leave a Legacy for Wildlife and the Planet! Your good work for the earth and its future doesn’t have to stop when you do. It’s very easy to make a final gift that keeps on giving. Make a bequest in the amount of your choice. Planned Giving – save on taxes AND save wildlife! We have a full range of Planned Giving options available to help you save on taxes and save wildlife and the planet at the same time. There’s often a way you can use your assets creatively to accomplish your personal goals while making vital work possible. Check it out! There’s a full range of Planned Giving options available. There’s often a way you can use your assets creatively to accomplish your personal goals while making vital work possible. Check it out! Click for Corporate Giving ideas! Corporations can be good planetary citizens. Supporting the positive, world-changing programs of ET is a great way to show the world what your firm stands for. Help us re-define 21st-century corporate success. Click for Other Ways to Give! Other Ways to Give to ET! If you’d like to restrict your support to a single ET project or program, or hear about other options, click here! We take any instructions or designations as a sacred trust for the earth – hence our name. By virtue of the fact that you are reading this section you’re an environmentally-aware person who has discovered EarthTrust. You have taken the time to familiarize yourself with EarthTrust’s mission statement, its goals, its structure, its efficiency and its long-term record of successes. Hopefully, you have decided that you wish to be a part of future successes in EarthTrust’s work to save the earth’s rapidly-vanishing wild species, habitat, and human carrying capacity. You may not be aware, though, that there are many ways in which you can personally make make this work possible. In fact, you may be in a position to make a large contribution from assets you would otherwise lose to taxes. In many cases, giving a gift to EarthTrust will cost you much less than the face value of the gift; and in some cases your contribution may actually save you money while you save wildlife and help the planet! EarthTrust’s Planned Giving has been designed to help people like yourself with advice in structuring their financial transactions and tax position to make necessary environmental-protection programs possible. Consultations with this department are confidential, with no obligation on your part to proceed. It can be exciting, though, to realize the positive effect you can have — now— in saving the planet, without depleting your own personal resources. The details of a plan should be set up in a meeting, but what follows is meant to give you a general idea of what Planned Giving can encompass. • For instance, the donation of property or stocks which have appreciated in value can often be structured to avoid the bite of “capital gains” taxes, and options such as “bargain sales” can help an appreciated piece of property benefit EarthTrust while it benefits you. • Need an immediate large tax deducation and a long-term personal income? The creation of a “charitable remainder trust” can provide income for you while making possible needed EarthTrust campaigns, exempt from “capital gains”. This can be a very good deal for you both in satisfaction and bottom-line income. 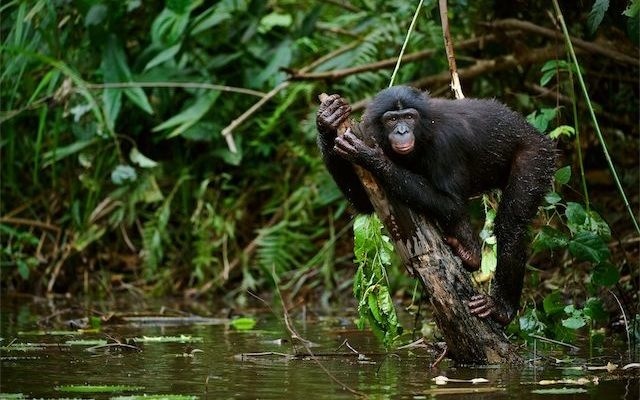 • A large wildlife-protection contribution with a low initial cost can be made via an insurance policy, with all payments fully tax-deductible. • Partial donation of seldom-used property or assets can provide an immediate large tax writeoff without affecting your personal enjoyment and use of the property. • Where there’s a Will, there are several ways, and some are better than others. Bequests can be structured in advance to maximize your gift to the earth while minimizing the amount lost to estate and inheritance taxes. • An EarthTrust exclusive, the Save the Planet Fund, allows you to create a permanent named Fund in your or your family’s name, to personalize your contribution to the saving of the planet’s creatures. This enables you to take an immediate tax deducation on funds which can be granted out to your favorite conservation causes — including other organizations you desire to support — over many years. Example: A donor possesses unappreciated securities with a cost and present value of $20,000. If the donor is in the 30% tax bracket, the contribution of these securities to EarthTrust’s environmental protection programs can reduce the donor’s income tax obligation for the year of the gift by $6,000. Example: A married donor, filing a joint return, has a taxable income of $120,000 before the sale of property or charitable contributions. The donor owns appreciated long-term capital gain stock with a fair market value of $30,000 which was originally purchased for $10,000. To maximize the tax benefits resulting from contributing this stock to EarthTrust, the donor considers whether to contribute the stock or sell it and donate the cash proceeds. A “bargain sale” is the sale of property for less than the property’s fair market value. When such a sale is made to EarthTrust, the transaction is viewed as part sale and part charitable contribution. The excess of the fair market value over the sales price is the measure of the gift to EarthTrust. This can be a very good option for both you and EarthTrust when your appreciated property must be sold. A potential donor who owns valuable tangible personal property, such as works of art, may contribute the property to EarthTrust. However, federal tax rules place restrictions upon this kind of property in terms of the charitable tax deduction available to the donor. If the use of the donated property by EarthTrust is related to its tax-exempt purposes or functions, (environmental and species protection and education), the amount of the donor’s charitable deduction is the property’s fair market value. If the use of the property is unrelated to EarthTrust’s exempt purposes or functions, the amount of the donor’s charitable deduction must be reduced by that amount which would have been long-term capital gain had the property been sold at its fair market value. A person who owns stock in a closely-held corporation, including a corporation he or she controls, may contribute shares of such stock to EarthTrust and receive a charitable deduction equal to the appraised fair market value of the donated property. Thereafter, the closely-held corporation may elect to buy back the stock from EarthTrust for its appraised fair market value, using surplus cash. In acquiring its stock from EarthTrust, the corporation has not subjected the donor to income tax on the proceeds used to purchase the property. The donor has not realized either dividend or other income from this transaction but still obtains a substantial income tax charitable deduction for the gift of the shares. 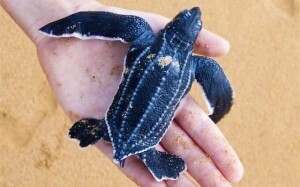 A person wishing to support EarthTrust wildlife-protection programs may make a gift of cash or property to EarthTrust but retain the right to receive income from the donated asset for life or for a term of up to 20 years. This right to income may include survivors of the donor as well. This arrangement is accomplished through the use of a Charitable Remainder Trust. • At the end of the term of the Trust, the remaining assets are paid over to EarthTrust for its charitable, exempt purposes. • The Annuity Trust, which pays an annual fixed amount of income based upon a percentage of the donated asset value when originally contributed to the Trust (not less than 5%). Once established and funded, there can be no additional contributions made to an Annuity Trust. A new Trust is required if additional contributions are to be made. • The Unitrust, which pays a fixed percentage (not less than 5%) of the Trust principal as annually valued. As the Trust principal grows, the payment of income grows proportionately as a hedge against inflation. Conversely, if the Trust principal diminishes in value, the income payments likewise diminish. Using the tax savings generated from the contribution and the increased income resulting from reinvestment of the lower-yielding donated asset to a higher rate of income, the donor may purchase a replacement asset using an estate-tax-free vehicle for the benefit of those who would have received the asset placed in the Trust had it not been contributed. In many instances, a donor can achieve overall greater economic benefits by contributing an asset to the Trust than by retaining it in estate for distribution to heirs! EarthTrust’s Planned Giving department can help you make it happen. • By contributing an existing policy. You may have a policy on your life transferred into the ownership of EarthTrust, with EarthTrust named as the irrevocable beneficiary. If there are additional periodic premiums to be paid, you may make additional contributions to EarthTrust from time to time from which EarthTrust may elect to pay these premiums. • By acquiring a new policy with EarthTrust as owner/beneficiary and yourself as the insured. Subsequent premium payments will be made by EarthTrust from contributions you make over the life of the policy. • All contributions you make which are later used by EarthTrust to pay premiums on owned policies are deductible as charitable contributions. The proceeds of such policies are excludable from yours estate as a charitible contribution to EarthTrust. • Future Interests: an EarthTrust supporter may donates a primary or secondary residence to EarthTrust while retaining an uninterrupted use and occupancy of the property for life; this gift to EarthTrust of a future interest in the primary residence or vacation home generates an immediate income tax deduction and excludes the property from the donor’s estate. • Partial Interests: a person interested in aiding EarthTrust can contribute a partial interest in real estate to EarthTrust while retaining ownership of the balance of the interest in the property equivalent to the amount of use in a year that the donor makes of the property. For example, a donor may have a vacation home which is used for 3 months of the year and remains unoccupied and unused for the balance of the year. By conveying the 3/4 interest in the property (9 months) to EarthTrust, the donor generates an income tax charitable deduction equivalent to 3/4 of the fair market value of the property, yet still have the property to use. Many people have felt that the best memorial possible to their lives is to preserve wild species of animal which without their gift might become extinct. In this way, their life’s significance can last millions of years into the future by keeping earth’s wildlife as diverse as possible. A donor may make a specific bequest in a will to EarthTrust in either a specified sum or a percentage of the estate. In addition, such a donor may specify that the bequest be used for a specific purpose or program of EarthTrust. EarthTrust honors all such requests. 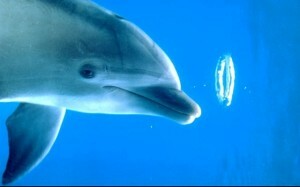 For instance, a bequest set up to protect dolphins will be used exclusively for dolphin-protection programs. As another option, a donor may establish a Charitable Remainder Trust in his or her will for the benefit of named survivors, providing income for life and the remainder of the Trust to EarthTrust after the end of the lifetime income interest. In keeping with its name, EarthTrust has pioneered new options for more sophisticated donors who desire accountability and low overhead costs associated with their environmental gift-giving. 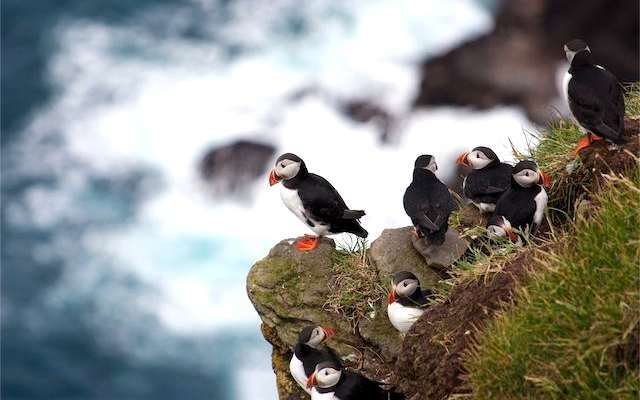 This Advised Fund allows these donors to provide for their own charitable priorities through personalized component funds in EarthTrust’s Save the Planet Fund. Individuals who participate in this Fund are able to maintain a named sub-fund, reserving the right to recommend the distribution of grants from their respective sub-funds to qualified charitable organizations including EarthTrust. A personalized Save the Planet Fund is established by the contribution of cash or property to EarthTrust. An income tax deduction may be taken immediately for the fair market value of the contribution. However, there is no requirement that funds be disbursed immediately! EarthTrust handles all administrative and investment responsibilities and accounts to all participants for the activities of each of their sub-funds. 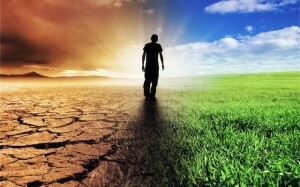 The Save the Planet Fund is an extraordinary opportunity for individuals with broad charitable interests, particularly in matters affecting the planet, to have a centralized fund at EarthTrust from which they can support a variety of charitable organizations and causes throughout their lifetimes. 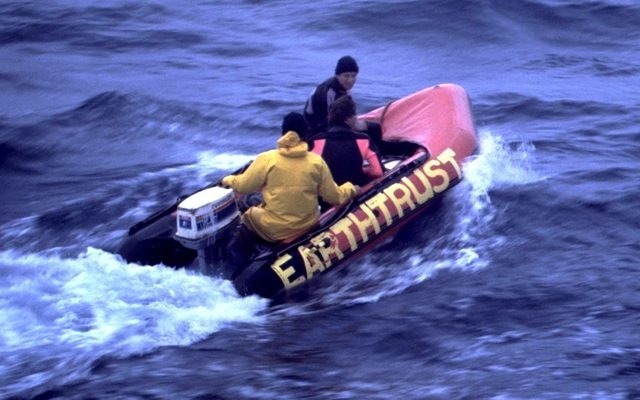 EarthTrust chose its name because it is designed to hold funds “in trust” to help the earth. An excellent example of this commitment is the honoring of “designated funds”. These Funds allow concerned individuals to make special arrangements to achieve their charitable objectives. A donor can establish a fund with EarthTrust for a specific program or purpose. Alternately, a “perpetual fund” may be established, the income of which can be available to carry out a designated charitable intent. These funds are named for a donor or the donor’s family and are a significant means for individuals to make a lasting impact on matters affecting endangered species and the environment through and with EarthTrust. Information contained in this brochure is not intended to represent legal advice or to substitute for such advice. Individuals are urged to consult their professional advisors when considering charitable planned giving transactions. All matters set out herein should be considered in light of the effect of the alternative minimum tax, if any. We can answer any further questions you may have. Just write us as Donations@EarthTrust.Org.